It's about time we had a new episode of the NT Pod. I've just released NT Pod 65: The Women at the Cross. Details over on the NT Pod page. 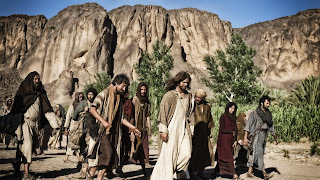 The Bible series continues on History Channel tonight and introduces, among others, the character of Caiaphas. 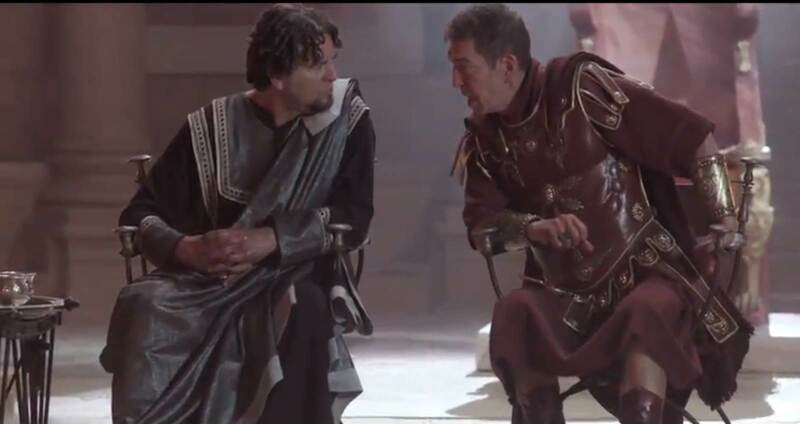 The character of Caiaphas presents one of the greatest challenges for any Jesus film or Passion play, and many have failed the test, making Caiaphas a cartoon, caricature baddie who makes no historical sense and who is offensive to boot. One of the elements that I found so admirable in Deasy's script was the idea of giving Caiaphas a family, a wife and daughters, and allowing us to see something of his life. Ben Daniels himself reflects on the role in a BBC video interview here. The Bible series is in the same tradition. 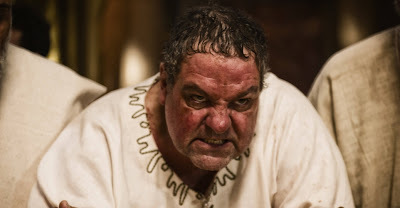 Although it cannot give as much screen time to Caiaphas as something like The Passion, it still works hard to try to understand the character and the historical context. I know that Helen Bond's book Caiaphas: Friend of Rome and Judge of Jesus? (Louisville: Westiminster John Knox, 2004) was used by the production team in order to help them to understand and so to write the character, and Helen herself was one of the consultants on the series. (For those not familiar with Helen's work, a great place to begin is her online piece Joseph Caiaphas: In Search of a Shadow). "There is no reason to think that he was anything other than utterly sincere in his beliefs and his adherence to his religion . . . .
Well, the challenge I wanted to meet was to present a reasonable man, an intelligent man, a man with a problem. And I hope that people watching the series will be sympathetic to difficulties he was faced with. Simply because the influence of these stories is so enormous and so widespread, it's important people know more of the detail, whatever your views about religion or God or morality. You can't ignore these books, so don't!" Oh, and Doctor Who fans should also look out for Paul Marc Davis, the Trickster from the Sarah Jane Adventures (and Chieftain in Doctor Who episode "Utopia"); he plays Simon in The Bible. One of the aspects that I appreciate in the New Testament episodes of The Bible series is the attention paid to historical context. One of the challenges for film-makres on this kind of project is to provide some explanation of the historical context without weighing the narrative down with turgid exposition. 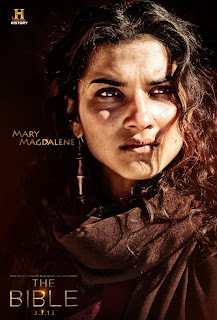 I talked about this a little in relation to BBC's The Passion in 2008 in a piece that also found its way onto the DVD, "The Passion" and Its Historical Context. While Herod is suffering away in his palace, the viewer gets to meet Mary and Joseph for the first time, in Nazareth in Galilee. The viewer is treated to an imagination of a first century BCE synagogue. This, of course, is difficult to imagine given our lack of detailed knowledge, but I was delighted to see Mary and Joseph sitting down next to one another, in a scene that depicts the meeting of their eyes. Since several people have asked me about the role of an academic consultant, this is the kind of thing that one comments on. There was a question, for example, over whether or not to depict Mary and Joseph separated into different parts of the synagogue, a male section and a female section. This is where a consultant points out that there is no evidence for that kind of segregation in this period. It is one of those areas where history and drama come together -- the scene works better as drama if the two are side by side, but it coheres at the same time with what we know of the history. The depiction of the Nativity is traditional, harmonizing elements from Matthew 2 with elements from Luke 2, but it's very effective, very moving. Leila Mimmack's Mary is just sublime in this scene. I tweeted the other night, while the episode was being broadcast, that you'd have to have a heart of stone not to be moved by her performance here (after which several respondents responded that they were indeed in possession of hearts of stone). 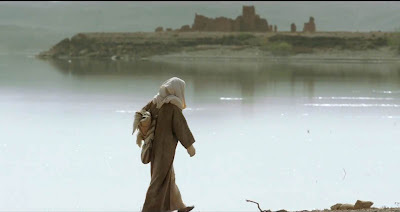 And when it comes to Jesus' walking, I can't help thinking of Martin Scorsese's comments about the importance of making sure that your Jesus walks normally, and not a couple of inches above ground. He loved Pasolini's Gospel According to St Matthew (1964) in which Jesus clearly just walks. Diogo Morgado, who plays Jesus in The Bible, gets this right too. He does not glide; he does not float; he walks. In fact, there is a lovely moment towards the end of the episode where Jesus sploshes through the water to get to Peter's boat for the miraculous haul of fishes story. 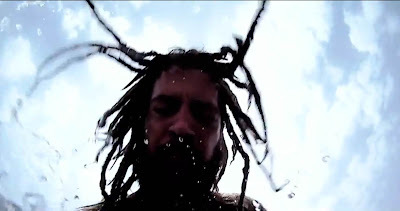 He is looking at John, as he emerges from the water. It's an impressive scene not least because this is the kind of area where one could end up being really crass and cheesey. In the Synoptics' narrative, a dove descends and there is a voice from the heavens. The Bible does not attempt to depict that directly, but simply suggests Jesus' epiphany by showing a shot of the sky as he emerges. 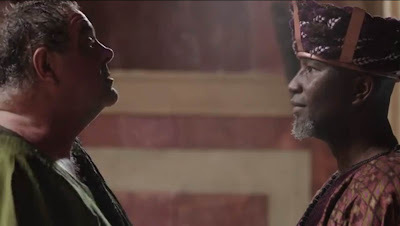 (Note: the above pictures are mainly screenshots taken from episode 6 with a view to illustrating the points I am making; the second picture (of Sam Douglas as Herod) is a publicity still from History Channel). I must admit that I have never quite known how to picture Jeremiah in my mind. Has there ever been a depiction in a mainstream film or TV series? Somehow, Raad Rawi's depiction in The Bible really works, though, sufficiently that I might almost be imagining this face in future readings of the text. A couple of things are worth looking out for here. I think Sam Douglas makes a great Herod, rivalling Peter Ustinov's iconic portrayal in Jesus of Nazareth (dir. J. Franco Zeffirelli, 1977). 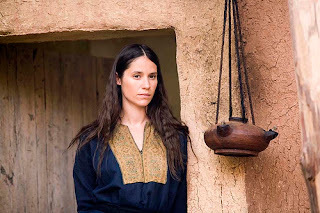 And I love Leila Mimmack's adorable portrayal of young Mary, which rivals any portrayal of Mary in film and TV that I have seen, including Olivia Hussey in Jesus of Nazareth, Keisha Castle-Hughes in The Nativity Story (dir. 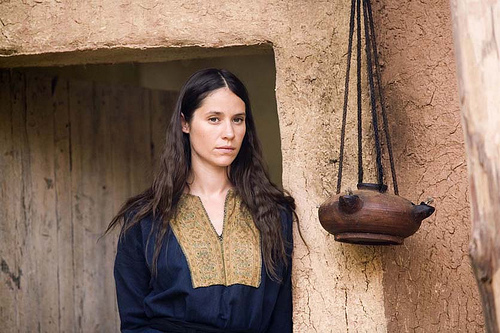 Catherine Hardwicke, 2006) and Tatiana Maslaney in The Nativity (BBC, 2010). The preview also shows glimpses of a remarkable scene that dramatizes Josephus's narrative of the cutting down of the eagle over the gate of the temple -- definitely one to watch out for in the episode. I must admit to finding this facetious comment on Entertainment Weekly a little amusing: " Next week, the mini [series] could get a ratings boost by the addition of a new fan-favorite character — Jesus Christ joins the show once The Bible gets into the New Testament." I am very disappointed with the news that Google Reader is coming to an end. USA Today reports that Google Reader is shutting down in July, and the news is widely reported elsewhere. Since I moved over from Bloglines to Google Reader some years ago, Google Reader has been part of my every day way of experiencing the internet, especially blogs and podcasts. Google Reader also generates the blogroll I have to the right of this blog. So we have until July to find a good replacement. Does anyone have a good recommendation? It has to be free, it should not have a magaziney-type interface, and it must at least have the functionality of Google Reader, ideally with the ability to generate a nice blogroll for a specifically chosen group of sites. I suspect I'm asking too much? 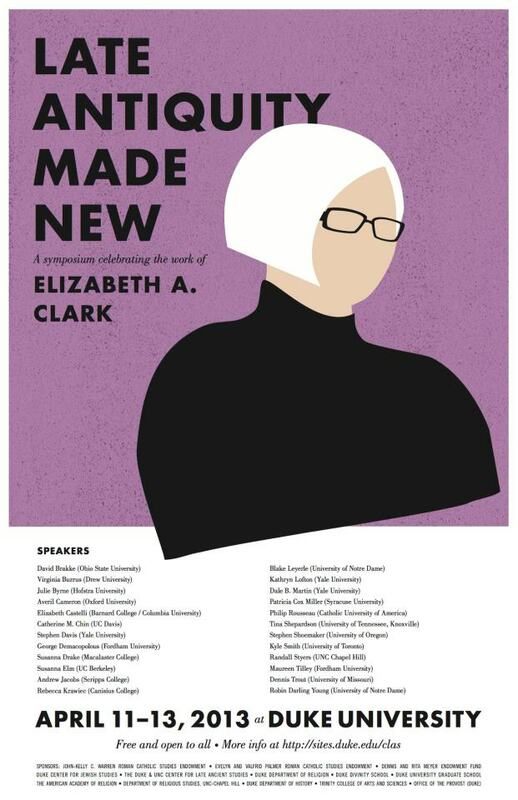 Thanks to Maria Doerfler for this fantastic poster for the symposium celebrating the work of Elizabeth Clark, coming soon at Duke! Blog notice here. For more see details here. I am grateful to Christopher Skinner for posting an interview with me about my book Thomas and the Gospels over on his Peje Iesous blog. A Review of Mark Goodacre's "Thomas and the Gospels"
It looks back at my Case Against Q and forward to Thomas and the Gospels. I kind of like the term "killjoy", though I have tended to use the term "spoilsport" in the same context in the past of that kind of reluctant scepticism that I find myself cursed with. I am a big fan of Matt's blog and I am looking forward to hearing his reviews of History Channel's The Bible in due course. I'd love to find some time to interact with some of Rafael's points in due course. Thanks also to Michael Bird, Jim West, Thomas Creedy, and I think also James McGrath (but can't find the link, soz) for appreciative mentions. Apologies to any I have missed -- please let me know in the comments below. Thomas and the Gospels is available from Eerdmans, SPCK, Amazon.com, Amazon.co.uk. There is an Eerdmans interview (8 minutes) as well as a book trailer (one minute). To put this into some kind of context, other cable shows like Doctor Who on BBC America get a couple of million viewers. Over 14 million puts it up there with the top rated, prime time shows on the main networks. The series continues next Sunday on History at 8/7C. Previous blog posts on The Bible here. One of the reason for scholarly types to be encouraged is that the executive producers, Mark Burnett and Roma Downey, did hire a large group of academic consultants. The group is so large that I must admit that I don't know everyone who was involved, but I can confirm that I was involved, and so were Helen Bond, Craig Evans, Joshua Garroway, Paula Gooder and Candida Moss. Another consultant was Rabbi Joshua Garroway, an assistant professor at the Hebrew Union College and an expert on early Christianity and the Second Jewish commonwealth (circa 530 B.C. to 70 A.D.) Judaism. He was a paid consultant on the project. “One of the issues that came up frequently in the comments was the goal of the production was to remain faithful, or at least as faithful as possible, to the narrative and text of the Bible, as opposed to a historical critical approach,” he said. “The series is not meant to be a historical feature but as a representation of the biblical narrative which is at times historical and at times not,” Garroway said. “I don’t think it will run into the same problems that Mel Gibson’s movie ("The Passion of the Christ") did because the producers have been somewhat conscientious about forestalling some of the things that could produce that effect in the Jewish community,” he said, referring to perceptions of anti-Semitism from the 2004 film. 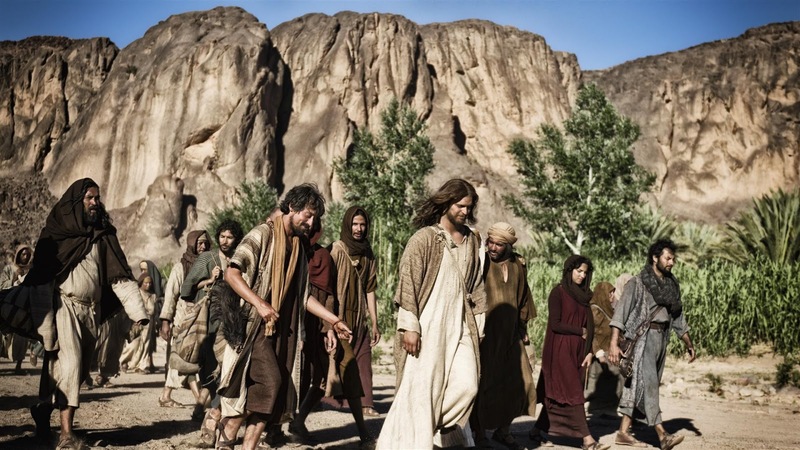 Craig Evans, professor of New Testament studies at Acadia Divinity College in Wolfville, was one of about 40 consultants and faith leaders recruited from around the world to ensure the show’s historical and scriptural accuracy. 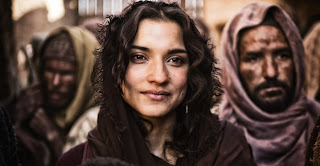 Evans’s task involved reading and re-reading the script, initially to correct mistakes and then to examine dialogue and the authentic representation of the culture and history of the Middle East in New Testament times. 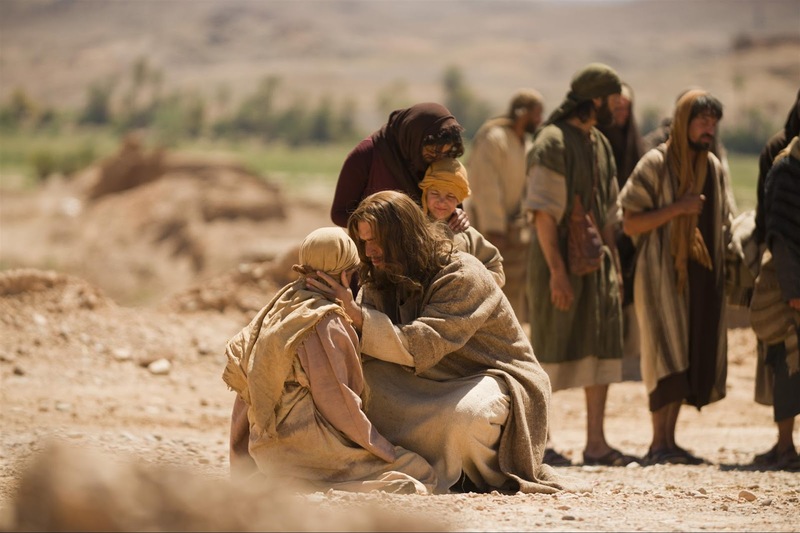 Mark Goodacre, a New Testament scholar at Duke University who was one of several academics who consulted on Downey and Burnett's script, said there are bound to be questions of interpretation, accuracy and “what's included and not included” in any Bible adaptation. “We tried to make sure things held together historically, but in any adaptation that's a compelling drama you have to draw lines and make connections through dialogue, scenes and narrative,” said Goodacre, who noted the series relies on a mix of Biblical translations with dialogue that appeals to modern viewers. 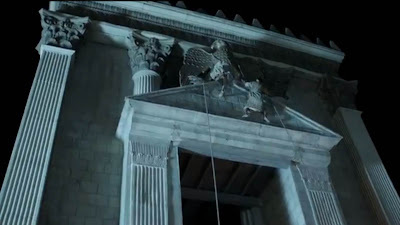 Broadly speaking, the role of the consultants began back in 2011 when planning on the series was beginning. I first met the producers in Greenwich, London, in July that year. Our main role was to look at scripts as they were produced and to offer comments, but also to answer emails and phone-calls, and to advise on details in the scripts from the scholar's perspective. Last year, in the autumn, we got to view early cuts of the episodes and once again to offer comments, and to draw attention to anything we thought required special attention. It was a fascinating experience because it gave you an insight into the world of TV production to see the partially finished episodes, and to watch things coming together. I had the same experience watching these early edits that I had when watching the BBC / HBO Passion in 2008 -- it's a profoundly moving experience to see scripts with which one has become very familiar now becoming reality. And although these were early edits, and one watched them out of sequence, I have to say that I was not disappointed. It's a superb series. The consultant's role is always, inevitably, a very minor role in something like this. The producers themselves are the ones calling the shots, and they don't need to talk to people like us at all. And it must be frustrating for them to be talking to people like us who really don't know anything about film-making. But it's greatly to their credit that they were willing to spend so much time asking the views of academics and taking their views seriously, and I was impressed throughout the experience with the time they took to listen to all the little suggestions we had.